There truly is no place like home! When you need to leave, let your pets stay home where they’re comfortable. 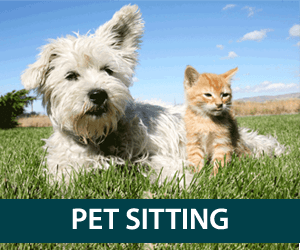 Have one of our professional pet sitters come to your home to care for them! Daily dog walks help keep your dog happy and healthy. 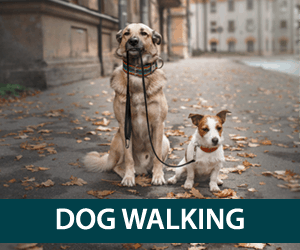 While you’re at work, let one of our dog walkers get your dog out for some exercise with a brisk mid-day dog walk. Do you have a household with multiple pets, a pet with special needs, or puppy in need of potty training? 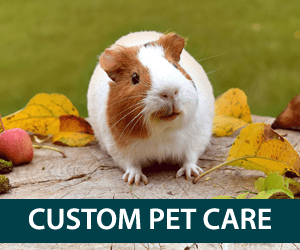 Our customized pet care will provide the care and attention they need. Dog hiking can be a great way for your dog to get the socialization, exercise, and mental stimulation he needs. 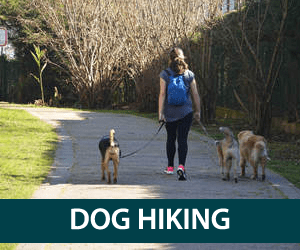 Contact us today to find out more about our hour-long dog hikes. When choosing a pet care provider use a checklist to be sure they are the Right Fit for you and your furry family member!